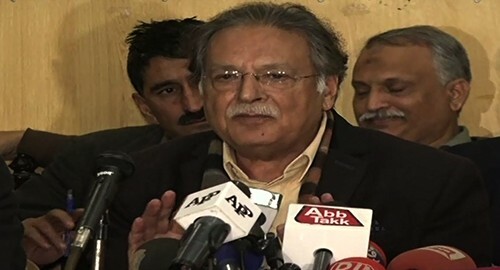 ISLAMABAD (92 News) – Federal Minister for Information and Broadcasting Pervaiz Rashid has said that issues are resolved through dialogues, not a war. Addressing the Round Table Conference on the Kashmir issue, he said that dialogues were held for the independence of Kashmir. “However, India has to answer to the interference in Occupied Kashmir,” he said. The minister said that China had proposed Pakistan to adopt its policy of Hong Kong, Macau and Taiwan for Kashmir. He said that employment of several people was attached to the Kashmir issue and they did not want its resolution.